Barbara Bologna leather backpack 'Orso'. Two headed, smiling bear design, with ears and leather and stitch eyes, the smiling mouth is a seam. Full body length zip fastening on the rear and inside there is a zip pocket and the inside is lined in black. Shoulder straps with metal clip fasteners. 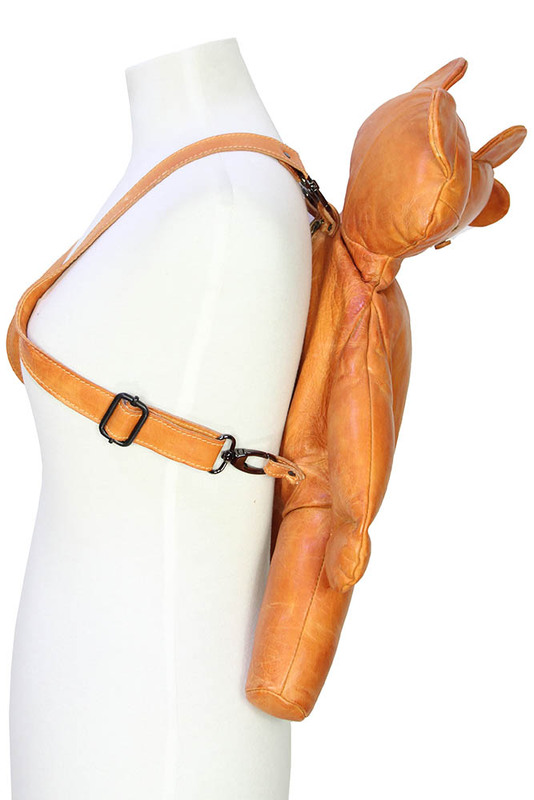 The straps can be removed and either or both used, so it can be a backpack or shoulder bag. A very cool piece we just love it!! !